Mumbai, Aug 4 (IANS) Versatile singer Kishore Kumar would have celebrated his 79th birthday Monday, had he been alive. And the film fraternity believes the singer-actor would have been a hit with audiences even today. Most Bollywood personalities agree that Kishore Kumar was ahead of his time. Even the new generation of singers and composers think so. “I often wonder how Kishore Kumar, who innovated so much in his time, would have would have innovated today in Bollywood film music,” said composer Monty Sharma of “Saawariya” fame. “Although film music has undergone a vast change over the years, I am sure Kishoreda would have fitted in the current music trend and sprung surprises,” he added. “A singer like Kishore Kumar never gets outdated. Perhaps he would have been ahead of our time also,” Sharma quipped. His was the voice that sang unforgettable numbers like the joyous ‘Paanch rupaiya baara aana’, the soulful ‘Zindagi ka safar’, the romantic ‘Pal, pal dil ke pas’ and the foot tapping ‘Eena meena deeka’ that has people doing the twist even 50 years later. However, to call Kishore Kumar only a singer would be underestimating his talent. He was a multi-faceted personality who was at once a singer, actor, writer, director, producer and composer. And in all these areas he has left his unique mark. The continuing craze for remix albums of Kishore Kumar songs points to the fact that no modern singer can beat his singing style. “One can only copy him, none can innovate like him,” said music director Anu Malik. 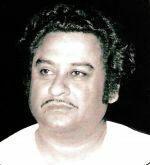 Ashim Samanta, son of yesteryear’s well-known director Shakti Samanta, recalled his family’s strong ties with Kishore Kumar who sang the best of his songs in Shakti Samanta movies. “They struggled in the film industry together. My dad was trying to become a director and Kishore uncle’s aim was to get into films. That was how they came to know each other and became friends,” said Ashim. All the numbers Kishore Kumar crooned for Samanta’s films were hits. The most popular among those were “Mere sapno ki rani” and “Roop tera mastana” for “Aradhana” and “Chingadi koi bhadke” and “Kuch to log Kahenge” for “Amar Prem”. Ashim believes that Kishore Kumar’s singing style was so unique that he would have been a hit even today. “Tunes of some of the songs he sang might not have been good, but the quality of his voice was so sweet that the songs sounded good to ears. Above all, he was a very good human being, eccentric sometimes, but jovial all the time,” Ashim said. The singer-actor died of a heart attack Oct 13, 1987, leaving behind legions of fans – and imitators. Among his memorable songs are “Haal kaisa hai janaab ka” from the 1958 hit “Chalti ka Naam Gaadi”, “Yeh raatein, yeh mausam” (”Dilli ka Thug”), “Aa chal ke tujhe” (”Door Gagan ki Chaon Mein”), “Mere mehboob qayamat hogi” (”Mr. X in Bombay”) “Mere saamne wali khidki mein” (”Padosan”), “Woh shaam kuch ajeeb thi” (”Khamoshi”), “Aaye Tum Yaad Mujhe” (”Mili”), “Zindagi ek safar hai suhana” (”Andaaz”) “Chala jata hoon” (”Mere Jeevan Saathi”), “Musafir hoon yaron” (”Parichay”), “Main shair badnaam” (”Namak Haram”) and “Zindagi ke safar mein” (”Aap ki Kasam”). This entry was posted on Monday, August 4th, 2008 at 9:58 pm	and is filed under Web. You can follow any responses to this entry through the RSS 2.0 feed. You can skip to the end and leave a response. Pinging is currently not allowed. I really believe if kk would be alive today he would have in Antakshari or Saregama program with his humours ways of judgement. But God is not kind to such type of personalities. In his short age he became genius in all the departments in the film industry. But he told in the interview tht he wanted to leave Mumbai forever and wanted to shift to his native place Khandawa. But destiny was otherwise, his wish or desire wasnt fulfilled when his death came so suddenly. The fact was Kishoreda knew he will die in 1987 itself by his family priest and also he informed tht to his elder brother Ashok kumar and the fact happened tht he suddenly died in the 13th Oct evening on the fateful day of his elder brothers birthday. So, we miss him oftenly in nowadays programs. ACCORDING TO ME KISHOREKUMAR IS THE ULTIMATE, THERE IS NO DOUBT HIS VOICE WILL BE THE BEST ,EVEN AFTER A THOUSAND YEAR.TWO OF THE MOST PERFECT MALE VOICE I HAVE EXPERIENCED ARE KISHOREDA & YESUDAS. KISHOREDA’S STYLE WILL BE 25 YEARS AHEAD EVEN AFTER A THOUASAND YEAR,SIMPLY I CAN’T LIVE A SINGLE DAY WITHOUT HIS SONGS. Absolutely no doubts about it. Can words capture the depth and beauty of the ocean. Its a hard to praise Kishoreda in a few lines. He was a multi-talented, God gifted, energetic natural who I believe had special blessings from God. No one can be like you Kishoreda. We miss u forever….